Travelling is one of the best sources of inspiration. Nothing helps to unwind and fill your head with new ideas better than discovering new countries with all their diversity, unique colour palettes, architecture and nature. Right now I’m in Vietnam, the natural environment here is so rich and bright. There’re garlands of blooming flowers on many of the roadsides, a heavenly blue sea and deep green tropical forests. These vivid surroundings have inspired me create this Floral nail art. It’s dramatically different to my usual edgy geometric patterns but some habits hard to break so to spice up the look I mixed florals with stripes. Always a winning combo. 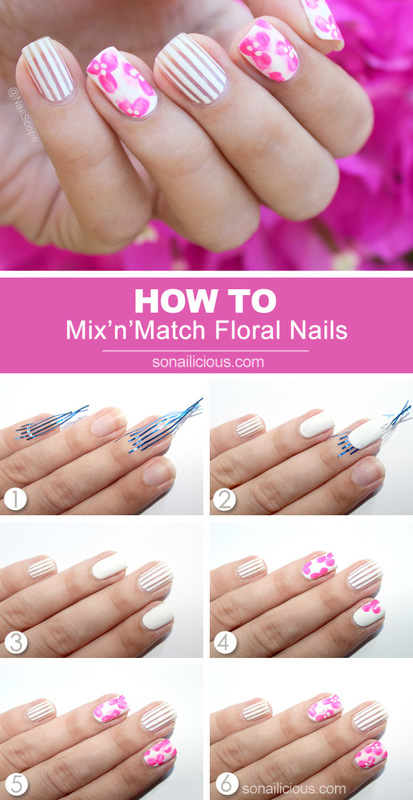 Although this Floral design may look a bit complicated, it’s really easy to do. No steady hand or fine drawing skills required. So without further ado, let’s see the how-to! 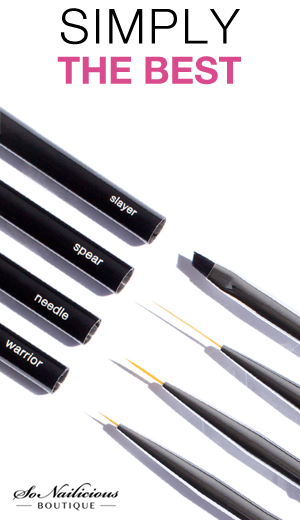 Start with a base coat. Once dry, attach striping tape as pictured. Make sure the tape is attached to the nail properly to ensure the clean lines. 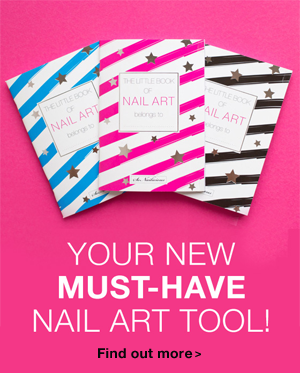 Work one nail at a time. Paint all nails with white nail polish. On the nails that had striping tape, carefully remove it with tweezers. 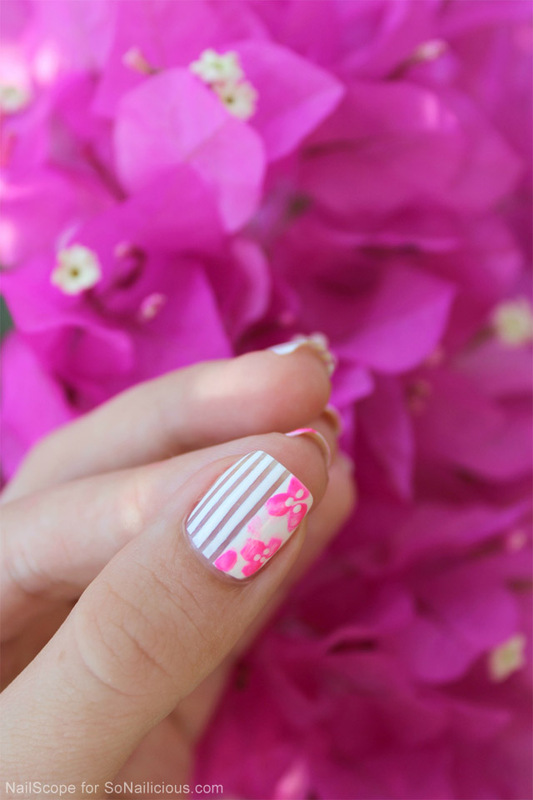 On plain white nails draw one-stroke flower petals with bright pink polish using a polish brush. Dry for 5 minutes. Take a medium size nail art brush, dip it in the nail polish remover and lightly go over flower petals to create the watercolour effect. With a dotting tool, make 3 small dots in the middle of every flower. Finish with quick dry clear top coat. * It will help not to smudge white background, when make watercolour effect on step 5. Used: Orly Bonder base coat, OPI Alpine Snow, Sea Siren Sailaway Heater and Seche Vite top coat. Have you ever done nail art inspired by your travelling adventures or another country?